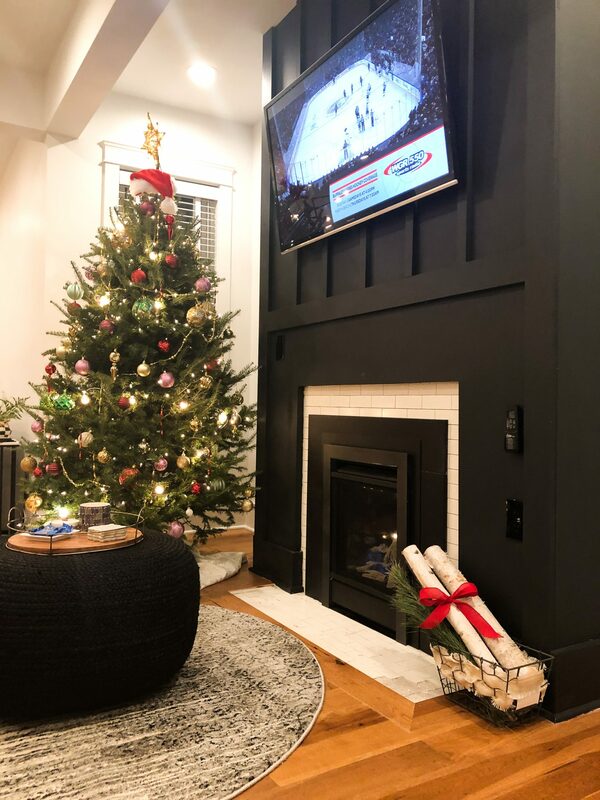 I firmly and truly believe that decorating for the season is so important and I believe that your holiday home decor should reflect you, your style and your home. I’m that sappy person who loves all the Hallmark movies, Christmas tunes, and garland on everything. I also love twinkle lights way too much and have taught myself self-control through the limitation of them. 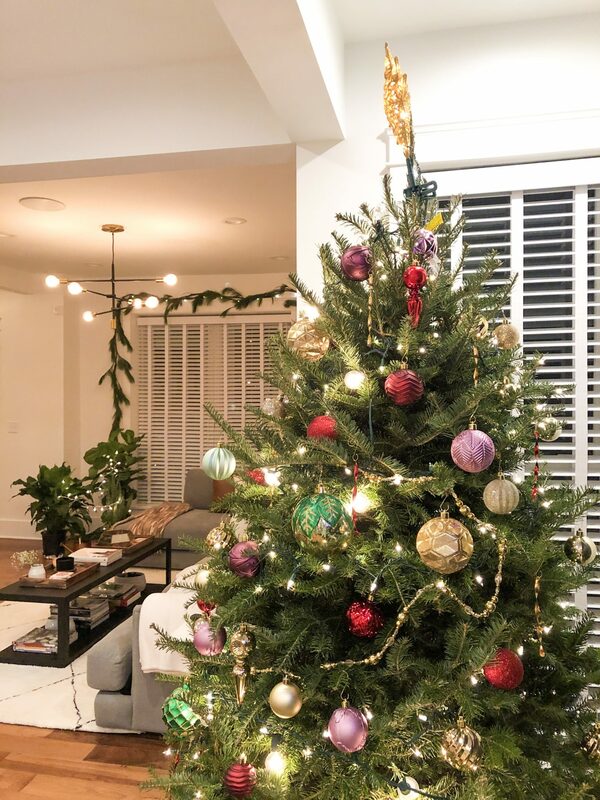 ANYWAYS, it’s that time of year– and if you haven’t decorated I just have one question, WHAT ARE YOU?! 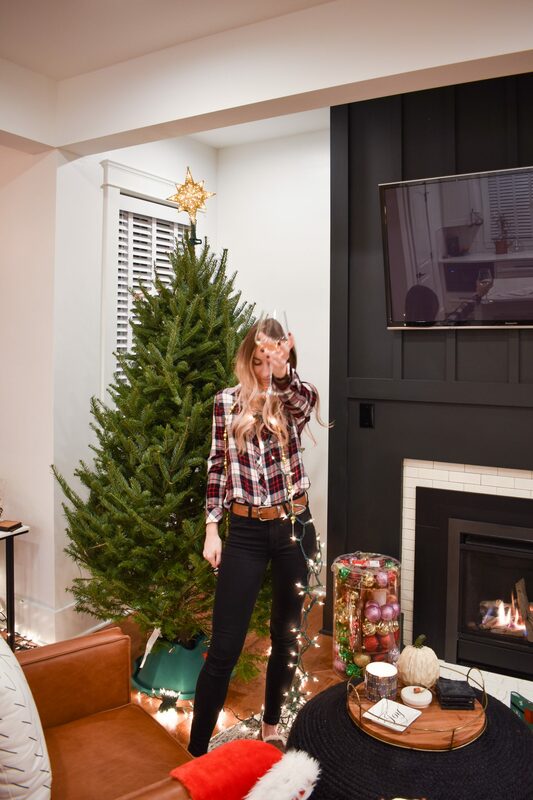 Two of my best friends commented on one of my Instagram pictures “I don’t believe in holiday decorations.” All I could think of was that emoji of the girl hitting her forehead like “UGH”. However, if you’re just a busy bee who hasn’t had the time yet GO NOW! It just makes everything so much more cheerful and exciting. 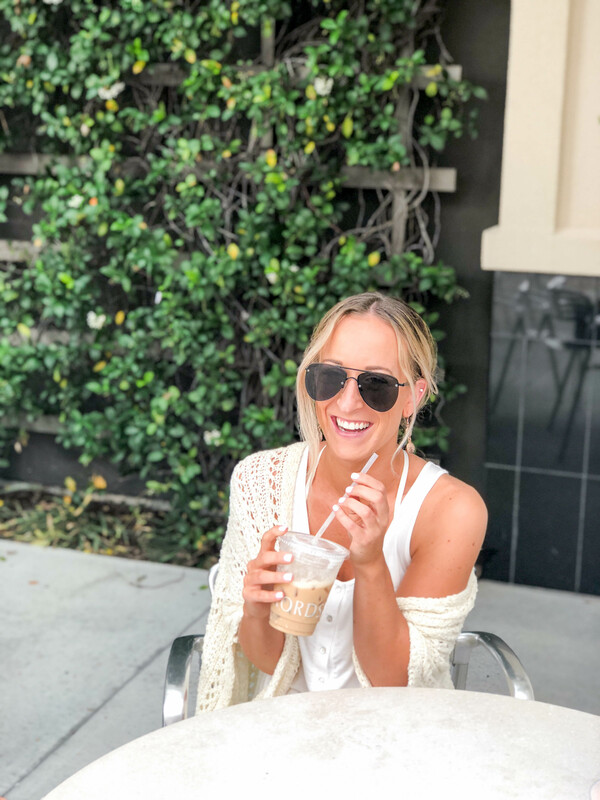 This post is also perfect for you because it includes some quick hacks because you can either “Shop-It or DIY-It”! First, I’ll pick out a theme or vibe I want for the year’s holiday home decor. Then, I figure out what I will need. This year is especially exciting because I have a whole new house to decorate. I went with more of that red, white and black with deep wood tones and evergreens. More masculine and “classic Christmas” I’d call it. Plus, I didn’t want to overpower the house considering it’s far from being completed, decor wise. Based on that I’ve chosen a few specific main pieces I need to get that going. Then it’s easy to fill in the MANY blank spaces with garland and lights etc. I like to be creative, pick my own ribbons and accents. This is where the “Shop-It or DIY-It” comes to play. 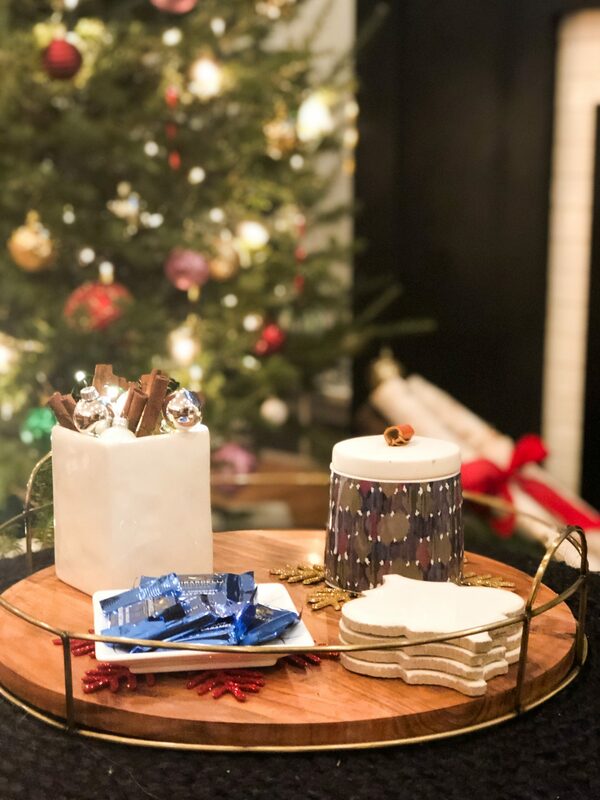 Between their Magnolia Holiday Collection and their Target, Hearth and Hand Holiday Collection there are a few different vibes going on. There are their classic modern farmhouse vibes, but they definitely mixed in the classic vintage. Like, think how houses were decorated with Frank Sinatra’s Christmas Album first came out in the ’50s. SWOON. Such a softie for that time. 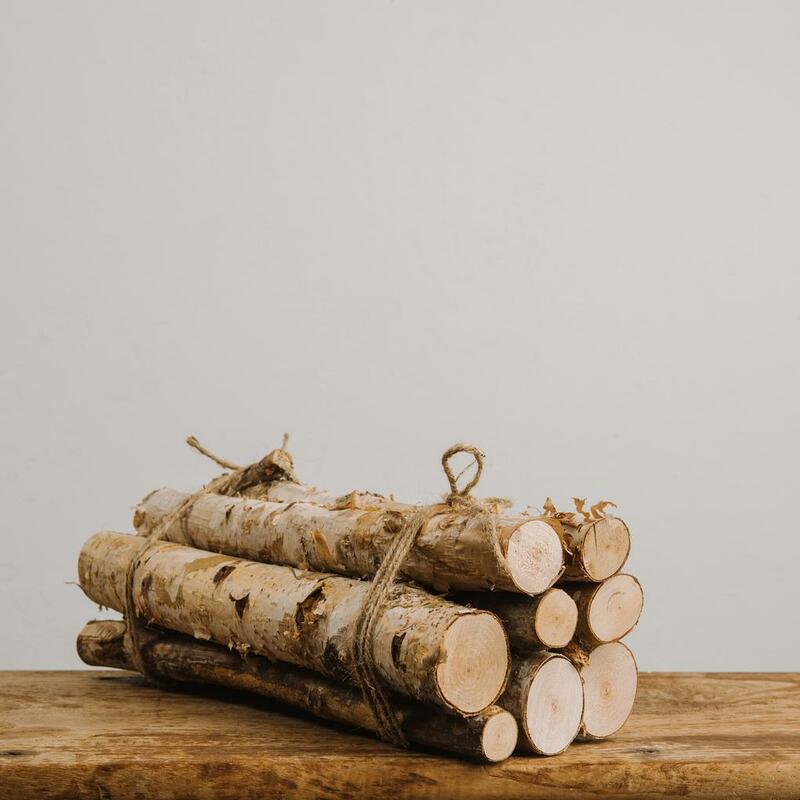 Anyways, back to the Birch Yule Logs that just about stopped me in my tracks. You see, I recently had done a project this year with some white birch trees and have spare pieces laying around. Well, DUH. The Magnolia version is just darling in its simplicity, however, I ended up putting a twist on mine. 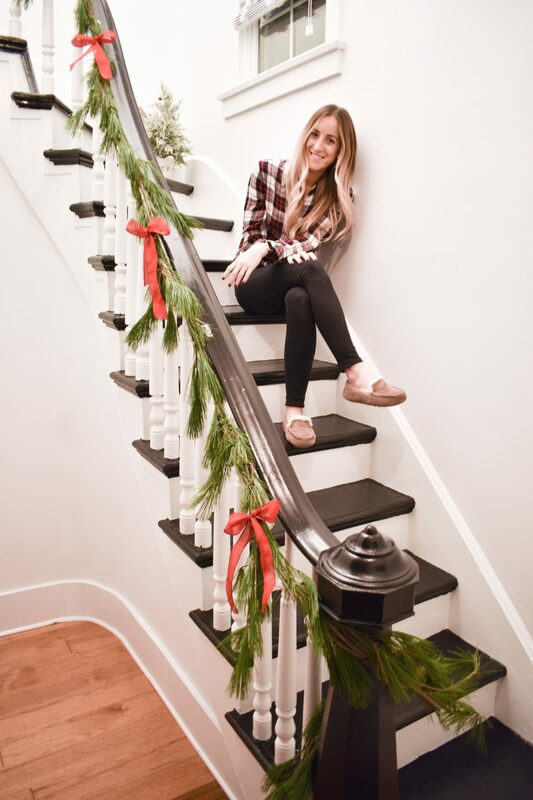 I hate to break it to you but if you have a staircase with a railing or banister of any kind it deserves to be dressed up this time of year. It’s so pretty, classical even, and makes me picture what it was like to decorate in the past. So, this is where I also think you should DIY. 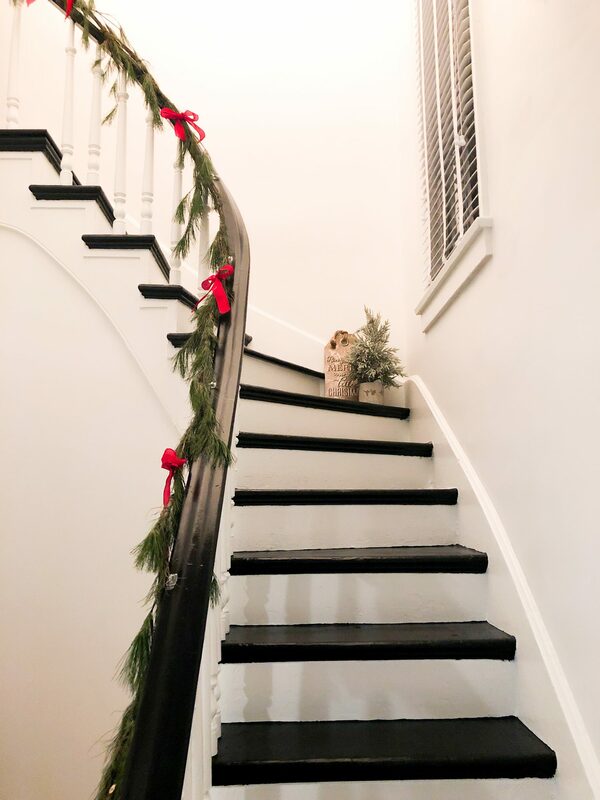 I know the faux garlands are so much more plush and already decorated with the extras, but a real garland on a staircase is nostalgic of Christmas’ long ago. Can you tell I’m a history buff? Again, I use real pine garland from Home Depot and Red Burlap Ribbon to hold it in loops. I learned that soaking your garland can make it last longer. Obviously, it’s a plant and needs water to survive. Garland doesn’t have a direct source of water so soaking in a bath of water about 24 hours before hanging is key to making it last. Here in Buffalo where the temps are forever low and the air is very dry, I knew this was necessary to make it through the month. 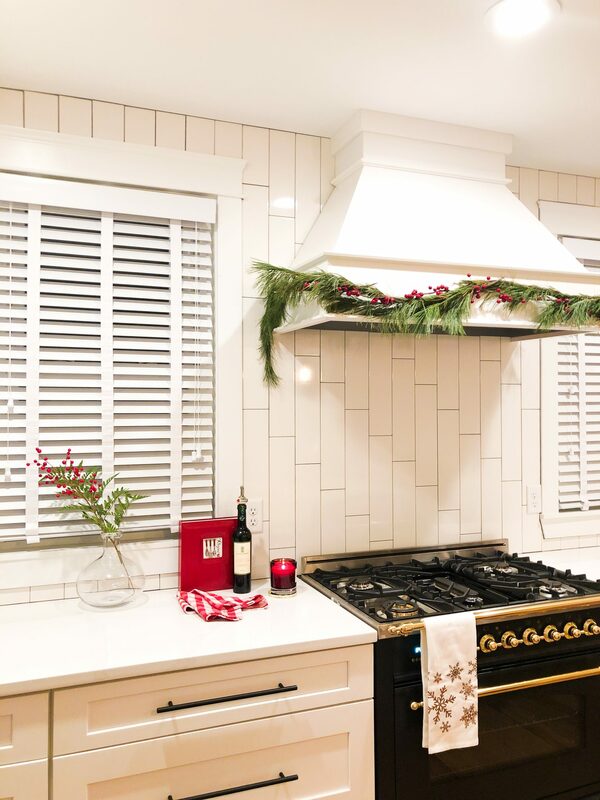 I knew right away that I wanted to put garland on the range hood. 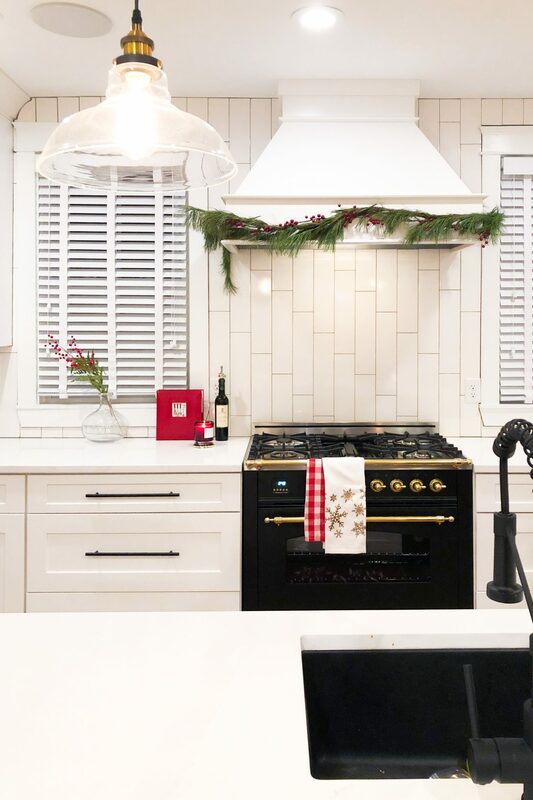 I specifically made this view of the kitchen very simple so that it could be dressed up throughout the year. This was half and half when it came to Shop-It or DIY-It. 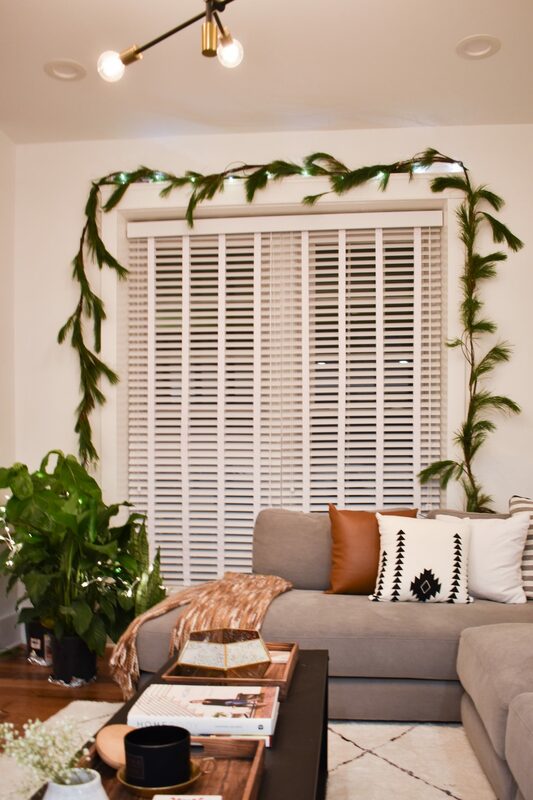 The garland was made by me using fresh pine sprigs from Home Depot and then a faux berry garland overlay. Everything feels so rich with the black and brass of the range below it. This is my favorite if you couldn’t tell. Finally, and probably the most simple, hang a wreath. I bought plain green wreaths, added a bow with the red burlap ribbon I used in other areas, and voila! It’s seriously my favorite piece of decor because of the simplicity. The barn door certainly helps too! We all know coffee table decor is very important. During the holidays it’s fun to switch things up, I filled a vase with cinnamon sticks and some twinkle lights instead of flowers. It brought a festive cheer to an otherwise typical and simple area. Decorate your table for the season! My table feels naked without something. Obviously, I’m happy to dress her up with some candles, greenery, red and twinkles. 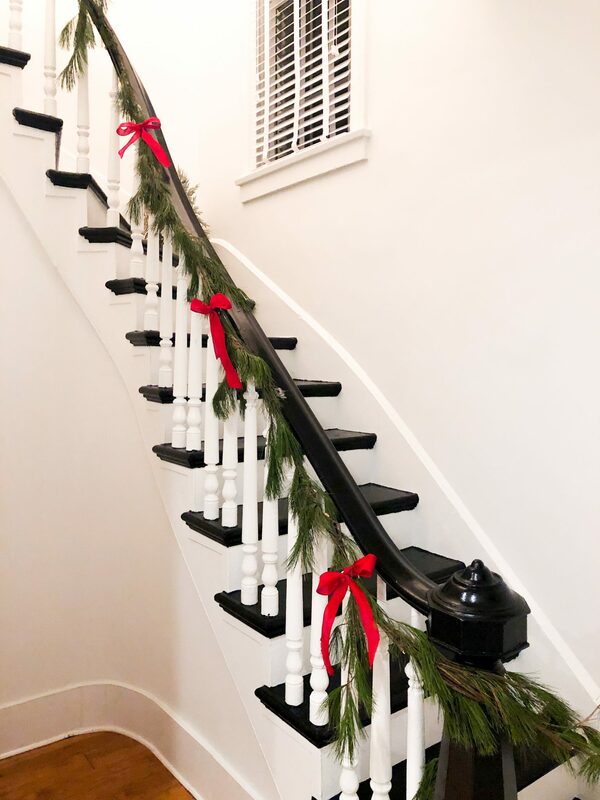 Even a festive runner or DIY garland down the middle. This is a good one becuase you can be creative! Obviously, we went somewhat simple. We still have so much decorating and finishing of the house I didn’t want to overwhelm it. 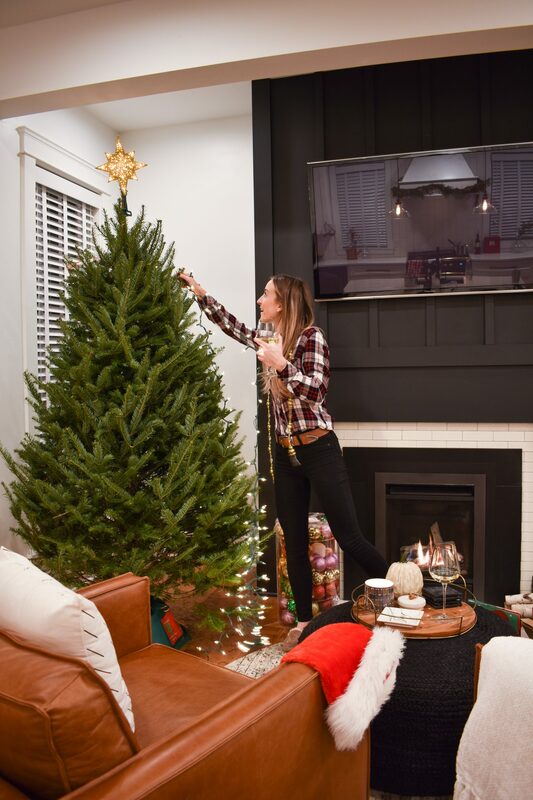 Plus it takes years to get into a holiday decor routine in a home. I’m just loving this year’s twinkles and already planning for next year.